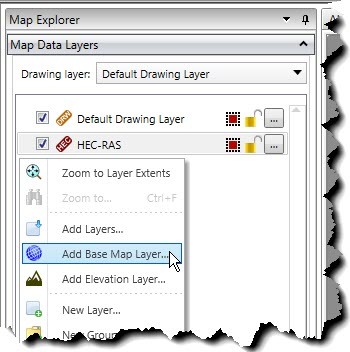 How to Add a Base Map Layer to a HEC-RAS Project? A base map layer provides high-quality background aerial and other imagery from different online map providers to add context to the engineering data being displayed on the Map View. 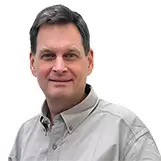 This video demonstrates how to add a base map layer. 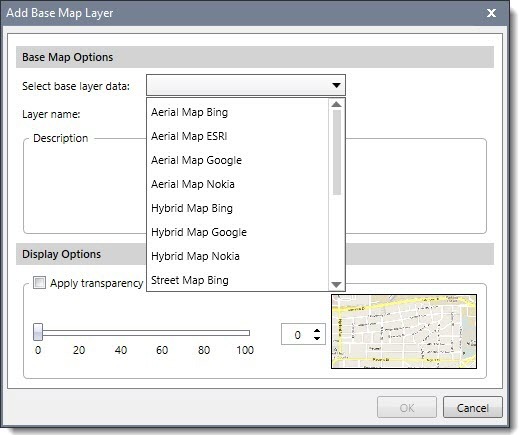 Right-click on the Map Data Layers panel and then select Add Base Map Layer from the displayed context menu. 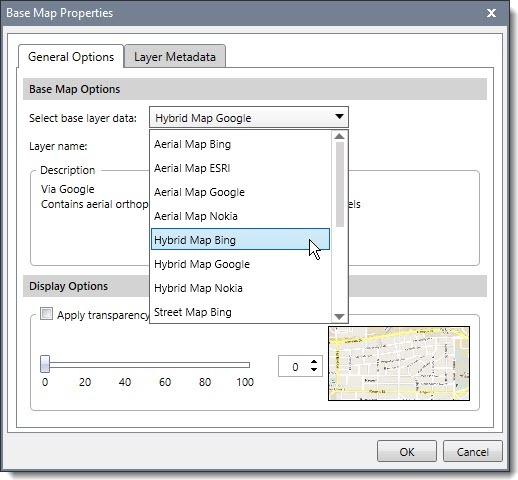 The Add Base Map Layer dialog box will be displayed. From the Select base layer data dropdown combo box entry, select the online map to be displayed on the Map View. After selecting the online map, click the [OK] button. The selected online map will be loaded into the current Map View window. As you zoom and pan about, the base map will refresh to maintain the quality of the display. You can change the base map provider at any time. 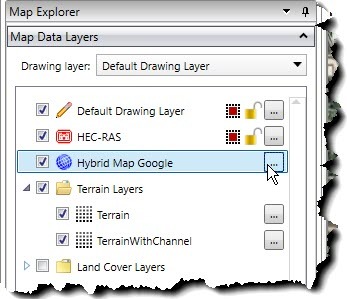 From the Map Data Layers click on the […] properties button. The software will display the Base Map Properties dialog box. You can then select a different online map provider from the displayed dropdown combo box entry. Next, click the [OK] button and the base map will update with the content from the newly selected online map provider.